Wigan Athletic have announced the signing of 21 year old midfielder Alex Gilbey from Colchester United. Although the player was at the end of his contract the U’s will be due to receive compensation due to the player’s age. Gilbey has signed a three year contract for Latics. The 6 ft tall Gilbey is a product of the Colchester academy where he became youth team captain. He made his first team debut as a 17 year old in October 2012 in a Football League Trophy game against Northampton. In March 2013 he went on a short term loan to Newport County, which ended in them getting promoted back into the Football League. Gilbey was named Man of the Match in the second leg of the playoff semi-final against Grimsby. He went on to play the full ninety minutes in Conference playoff final at Wembley when Newport went on to beat Wrexham 2-0. Following that successful loan spell as a young player at Newport, Gilbey went on to establish himself in the senior team at Colchester. 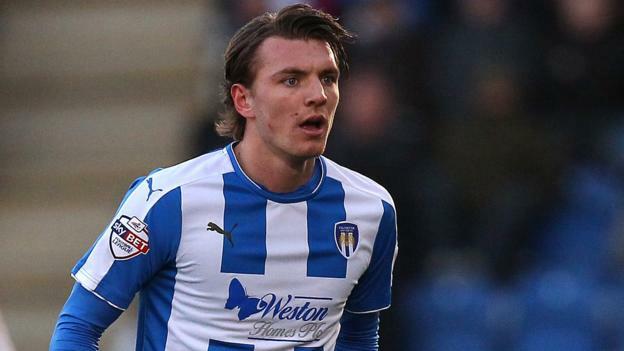 Although only 21 years old he made 101 appearances for Colchester, scoring 8 goals. He was the U’s Player of the Season for 2015-16, making 42 appearances and scoring five goals, two of which were against Latics. In order to learn more about Gilbey we contacted U’s fan Martyn Bell through Twitter (@MartynBell10). Alex Gilbey is a talented player and deservedly has earned a move to championship Wigan. Alex is a box to box player with tremendous energy levels and an eye for goal. Just look at the quality of goals he has scored most from outside the box, he is a level headed player and gives 100 percent which fans love. A player with premiership potential and he is from Colchester United’s academy, good luck from all Col U fans.